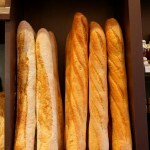 We have a wide selection of breads in our shop. Our flour comes from Shipton Mill in Tetbury, the finest of the all flours, which really sets our white breads apart from the competition. 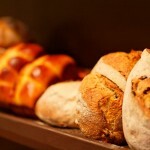 The juicy olives and fresh market rosemary makes our Olive & Rosemary breads one of the most popular. Californian raisins and walnut bread, 5-seeded breads, country loaves, wholemeal, focaccia can all be found on a daily basis on our shelved. 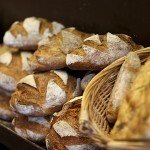 We would be delighted to reserve your favourite loaf for you, should you want to avoid disappointment. 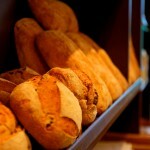 Our breads do fly off the shelves.